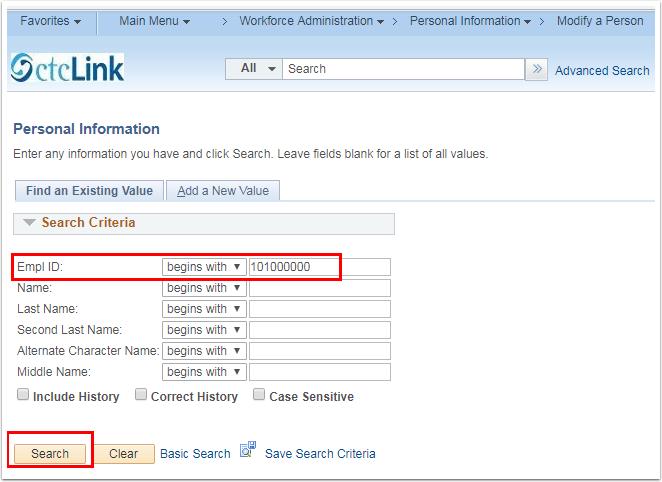 Purpose: Use this document as a reference for modifying personal information in ctcLink. NOTE: There are multiple areas (Name, Education Level, Marital Status, Phone #, etc) that can be updated; for this example you will update the Address. 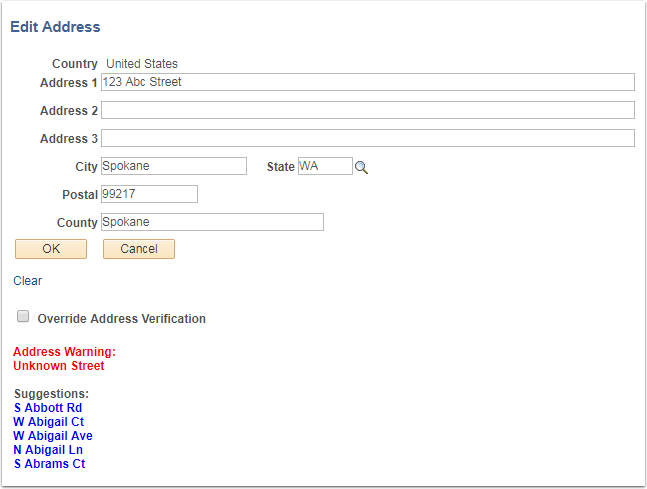 An Address Warning may occur with alterrnate suggestions, this will not prevent the record from saving. Congratulations you have successfully modified a person!! !